SHREVEPORT, La. 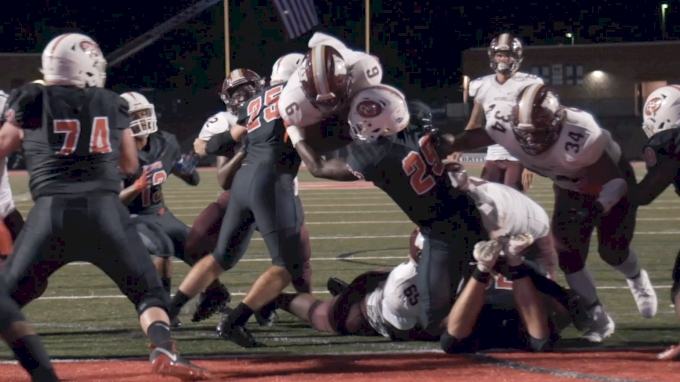 — The top team in Arkansas looked the part on Friday night at the Battle on the Border. Bolstered by a rushing attack that Evangel rarely had an answer for, the Wildcats raced out to a 20-0 second quarter lead and held on from there to secure a 35-20 victory over the Eagles. A week after leaning on North Texas-commit Oscar Adaway in a win at Booker T. Washington (OK), North Little Rock spread the workload across its top three backs—which was effective to say the least. Senior Tyler Day enjoyed a huge day as a runner, piling up 124 yards and three touchdowns on 18 carries to lead the way. Day’s effectiveness was complimented by both Adaway and Brandon Thomas. 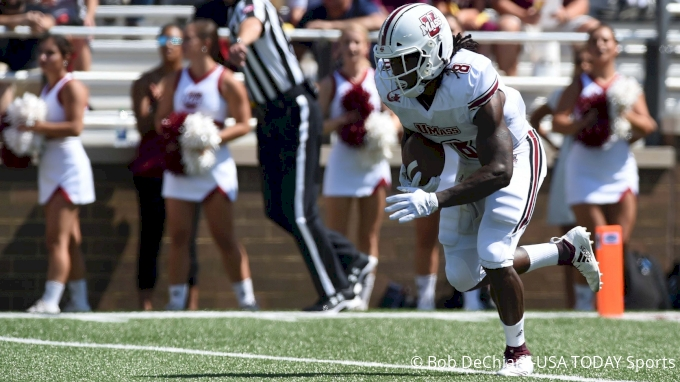 The former tallied 117 yards and a score of his own, while Adaway totaled 87 yards on nine carries and found the end zone on a two point conversion in the third quarter. Quarterback Kareame Cotton—who finished 5 of 8 passing for 47 yards and added 19 yards and two touchdowns on the ground—got the scoring started with a four-yard touchdown run that capped an eight-play, 68-yard drive midway through the first quarter. On the Wildcats’ next possession, a rushing attack primarily featuring Day allowed for a 10-play, 84-yard drive that chewed up 4:18 and ultimately culminated in a 14-yard Day touchdown run. North Little Rock made it a perfect 3-for-3 out of the gates with its third consecutive scoring drive on its following possession. This one, one play and two yards longer than the last, but with the same ultimate result: a Tyler Day touchdown run. Evangel got on the board with 3:44 to go in the first half courtesy of Tamauge Sloan, who cruised in from eight yards out—a play that was set up by a 48 yard connection between Blake Shapen and Tamauge Sloan. Fresh out of the half, it was more of the same for the Wildcats, who again grinded out a lengthy drive—this one, leading to a Thomas touchdown, Adaway’s two-point conversion and a commanding 28-7 lead. 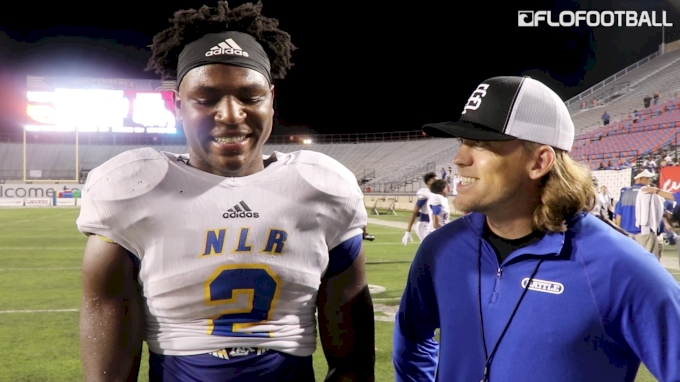 Aside from a few big plays, the NLR defense was dominant, limiting Evangel to just 70 rushing yards while dominating a strong Eagles front seven for much of the night. Get the best high school & 7 on 7 football news straight to your inbox. With the 2019 NFL Draft rapidly approaching, draft boards are set and the waiting game is well underway for most NFL teams. While spring game szn kicked off last weekend, it was in full swing this weekend (April 12/13) as over 50 spring scrimmages went down from coast to coast. Today, FloSports, the innovator in live digital sports and original content, and SPIRE, announced a multiyear partnership to provide live and on-demand coverage of the Freedom Bowl on FloFootball.com through 2022. While spring game szn kicked off last weekend, it was in full swing this weekend (April 12 & 13) as over 50 spring scrimmages went down from coast to coast. The Michigan spring game is Saturday at 5 PM ET, giving Wolverines fans who can’t make the trek to Ann Arbor, Mich., the opportunity to watch—and overreact, of course—to the performance of a team for which the expectations will be sky high in 2019. The Freedom Bowl released its 2019 schedule on Tuesday and, friends, the second iteration of this baby is loaded for bear. It's officially spring game szn. This weekend over 20 FBS spring games went down across the country and below we'll take a look at the biggest storylines from coast to coast. Football hasn’t really changed much since Princeton and Rutgers decided to partake in a physical discussion in Central New Jersey back in 1869.